The start of the New Year is just around the corner, which means it’s time for resolutions and a fresh start! At the Resolution Run, all ages are invited to get moving to kick off 2019! With a 4 Miler, One Mile Course, and 50m Dash, Atlanta Track Club’s Resolution Run is a great way to get the entire family moving! This year’s course has a start/ finish line conveniently located in Piedmont Park, making the event easier than ever to access. The races begin at 10:00 a.m. and continue through 11:20 a.m. when the course closes. Following the run, awards will be given out across a variety of age and gender groups. December 31st, 2018 at 11:59 p.m.
All participants will receive a long sleeve Mizuno shirt. 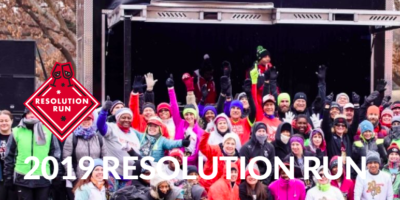 More information on the 2019 Resolution Run.